The Only 6 Jackets You Need to Stay Chic This Winter! You know what’s our favourite part about December? Being able to bring out all those fabulous jackets and blazers from hibernation mode…or, in some cases, heading to the mall to splurge on some new ones. Let's face it - nothing lends an outfit a structured, chic vibe quite like a well-fitted jacket. Hence endorsing this style is, well, a complete non-brainer! So whether you’re freezing away to glory (and gloriously at that!) in Delhi or just welcoming the nip in the air in Mumbai, we’ve got fab picks of the best winter jackets from Vero Moda’s Marquee collection for all you winter-loving ladies. We also threw in some ingenious ideas to style them, whether you’re headed to work or play! Don’t you just love us? 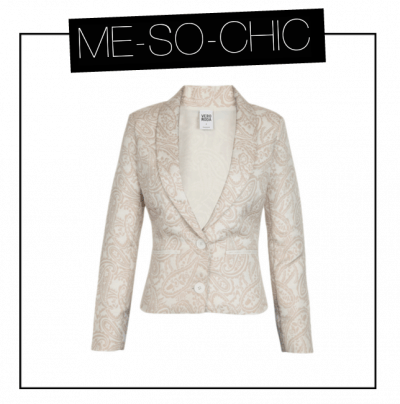 Show them who’s the boss in this tailored jacquard blazer. Team it with an ivory blouse and black cigarette pants for a client dinner or throw it on over a white sheath dress to nail that presentation. Pearl studs are the only finishing touch you need. Since it’s the party season, you might as well go all out, even if it’s just brunch with your favourite girls. This pastel sequinned bomber jacket is what a Sunday champagne brunch at your neighbourhood five-star calls for. Team it with beige culottes/palazzos or nonchalantly throw it over a breezy white maxi. Don’t forget to add lightly layered pendants. Pull all style stops when you’ve finally snagged a date with your crush. 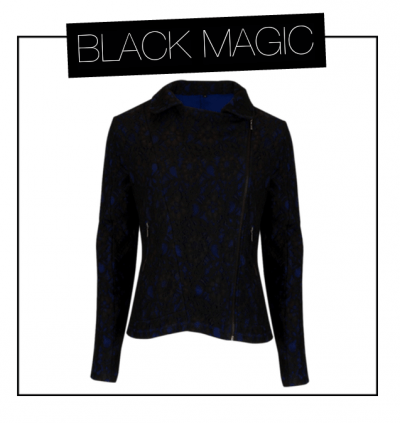 Pair this structured black and blue jacket with Klein blue or black skinny jeans and boots if you’re headed for dinner. If the agenda is drinks at a swanky bar, then team the jacket with a snug faux leather dress and killer heels to match. Headed for a family Christmas party? It’s only right that you bling up! This black and gold bomber jacket is a fitting choice for the family’s sworn fashionista (yes, we’re looking at you!). Wear it with jet black glazed pants and black high tops for a glam sporty luxe look. Alternatively, you can match it with light blue jeans and red heels too. A blazer at a nightclub? Why not! 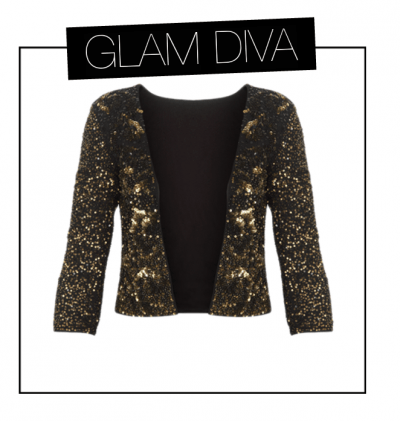 Wear this edgy black and red jacket open-buttoned with glittering shorts, a black crop top and sky-high heels. Else throw in on over an off-shoulder playsuit in a statement colour - red perhaps? Skip the jewellery and finish the look with bold lips. Sequins and New Year’s Eve are a match made in style heaven. This dull-gold cropped jacket is what you need to ring 2015 in. One way is to team it with black high-waist shorts and a tank to match, topped off with layered beads. Sporting it with draped dhoti or samurai pants is an avant-garde way to go. *This is a sponsored feature. Shop from the Vero Moda Marquee collection here.